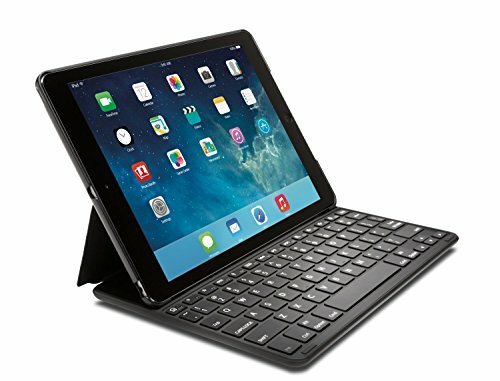 For the iPad Air 2 User looking for a sleek keyboard-folio design, the Key Folio Thin X2 delivers a high-performance, integrated keyboard in a stylish folio. The iPad Air 2 Bluetooth keyboard is responsive to your typing style, and has a familiar layout with 6 rows of island-style keys, with each character where you expect them to be. And when you're mobile and only want to view your tablet, the keyboard can be folded back and out of the way. In this mode, your iPad automatically defers to the on-screen keyboard. The Key Folio Thin X2 also provide features you've come to expect, like Auto Wake/Sleep, hot keys with media controls, a home button and more. Available in Black or White.